I enjoy reading picture books on a daily basis – which is good, since I’m passionate about writing them! I also study them in-depth. Below, I share some of my insights about what makes a great picture book, as well as offer 50- or 100-word (ish) reviews of some picture books I recommend. And because The Rule of Three is so important in picture books (more to come on this), I review three books which follow a particular theme each time. 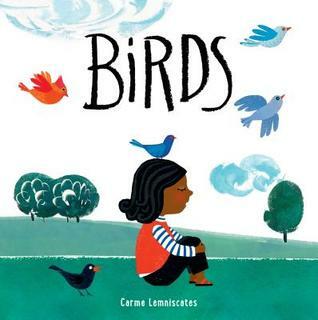 Vibrant digital illustrations highlight this look at the variety of birds children might see in their tree homes or in the air, while text reminds readers how birds make our lives more full, loving, and peaceful. Bold black and blue feathers on the bright white end papers offer extra POP. Neal’s soft mixed-media illustrations support the gently lyrical free-verse text in this ode to nature’s lessons for all of us. Readers will see how the sun, soil, trees, ocean, clouds, and even birds, bees, whales, and other animals can teach us about ourselves and the world around us. Bright, varied illustrations bring to life this interesting look at animals and their eyes. 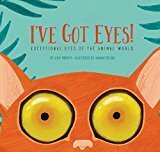 Focusing on shape, function, size, number, and other aspects, Murphy offers a glimpse of both common and unusual animals and the roles their eyes play in their lives, while asking readers to consider their own eyes as well. I’m happy to be taking part in Multicultural Children’s Book Day 2019! As part of this event, I was provided a copy of Leah’s Voice to review. This award-winning picture book is published by Halo Publishing International. Logan and her sister Leah have lots of fun together, swimming and painting pictures (Leah’s favorite). So Logan is excited one day to have her friend Abby come over to play with them, until Abby grows frustrated with Leah and her different way of communicating and playing. Logan herself also feels frustrated another day when Leah’s actions prevent her from being able to see her first movie in a movie theater. Then her parents explain that Leah has autism, and what that means for all of them, but mostly for Leah and Logan. Eventually, Leah’s art draws the attention of the local paper, and Abby comes to realize how important it is to treat everyone with kindness and understanding. 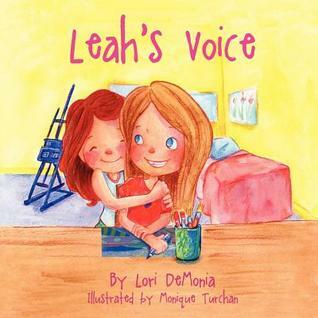 Leah’s Voice is a gentle, easy-to-understand story about the sometimes difficult situation of having a sibling or friend with autism, and how to explain autism to friends and others who may never have been exposed to it. Soft watercolor illustrations make this a good read-aloud for early elementary students. It is a nice addition to any family or school library, especially as a way to open up discussions about autism, accepting others’ differences, showing respect, and being kind. Multicultural Children’s Book Day 2019 (1/25/19) is in its 6th year and was founded by Valarie Budayr from Jump Into A Book and Mia Wenjen from PragmaticMom. Our mission is to raise awareness of the ongoing need to include kids’ books that celebrate diversity in home and school bookshelves while also working diligently to get more of these types of books into the hands of young readers, parents and educators. Nature’s Friend is the delightful biography of Gwen Frostic, a woman passionately in love with nature who is determined to overcome a physical disability to pursue that love through her art. 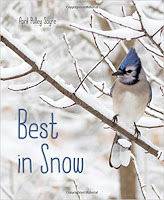 Author Lindsey McDivitt lovingly highlights one of Michigan’s beloved environmental pioneers and artists, from childhood to today, with an emphasis on Frostic’s perseverance and belief in caring for the beautiful world around us. Enchanting artwork by Eileen Ryan Ewen offers a look at Frostic’s ideas and triumphs with bright colors as well as nice use of white space. In addition, backmatter offers further biographical information, plus a craft for readers. An inspiring parallel story of a diamond’s birth and transformation in the earth, and a young boy’s birth and transformation into becoming the inventor of a world-changing diamond-making machine. Holt weaves a wonderful story of both, with a special focus on her grandfather H. Tracy Hall and his persistence and patience through pressure and poverty, while Fleck’s simple illustrations allow the parallel structure to shine. Back matter brings to light the diamond industry’s sometimes dark past, while shedding light as well on Hall’s later life and Holt’s relationship with her grandfather, plus the history of diamonds in culture. A fascinating look at Elizabeth Magie, who invented Monopoly as a way to teach adults and children about unfair landlord/renter practices in the late 1800s, but was cheated out of her rightful compensation and credit by dishonest men and men-led companies as the game surged in popularity. Stone allows readers to think about fairness, equality, economics, justice, and other themes in an easily accessible way as she uncovers the truth about the inventor, the game, and unscrupulous business practices. Vivid, fun illustrations by Steven Salerno carry the story along, and backmatter offers additional insights plus fun facts along with Monopoly-related math. Yolen and her family paired with National Geographic to create this gorgeous “ode to birds,” featuring 192 pages filled to the brim with fascinating facts, poetry, history, beautiful photos, and numerous other educational and loving ways to appreciate our feathered friends. This stunning treasure is sure to become a classic! Using her family history of counting owls during the Audubon Christmas Bird Count as inspiration, Stemple lovingly shares how the event began: through the conservation efforts of ornithologist Frank Chapman as he encouraged Americans to help save birds. Delightful collage-style illustrations and simple back matter make it accessible for young naturalists. Featuring breathtaking, soft-toned illustrations, Teckentrup introduces us to feathers in all their glory and usefulness. Young readers can learn about plumology, including what feathers do and what they are made of, as well as feathers’ roles in culture and other interesting facts. An enchanting combination of science and art! What happens when a pumpkin’s greatest desire is to be taken home and made into a jack o’lantern, yet its appearance deters everyone from seeing its possibilities? Simple, straightforward text paired with interesting pop-of-orange illustrations tell the sweet story sure to inspire readers to look a little deeper. Not-too-spooky black, white, and purple-heavy illustrations are the highlight of this fun twist on classic nursery rhymes. Young readers and storytelling listeners can laugh too at Mary Had a Little Ghost; Zombie Miss Muffet; Mary, Mary, Tall and Scary; and other Halloween-themed takes on Mother Goose favorites. The tale of how Mary Shelley’s young life led her to imagine, perhaps even dream, of Frankenstein as part of a stormy-night parlor game, using her travels and knowledge of new scientific experiments as fodder for the story. Sardà’s sharp angles, pale colors, and chilling settings add to the creepy atmosphere. Short, simple text makes this easy to read, and sweet yet realistic illustrations offer readers a chance to see eight species of bears in a variety of habitats and activities (ten to be exact!). Short sidebars also suggest ways readers can “Show You Love a Bear” with an environmental angle. Softly textured mixed-media illustrations are a true highlight of this hilarious look at different perspectives. Cat, Dog, Chickadee, and Squirrel are enjoying the perfect day UNTIL Bear comes along, disrupting theirs while enjoying his. Spot-on pacing, repetitive text, and sweet humor combine in a perfect way. Simply delightful! Grumpy Bruce doesn’t like much, except cooking eggs using online recipes (!). But when one organic egg delivers four goslings, who think he’s their mother, hilarity ensues in his creative efforts to convince them to head south. Laugh-out-loud funny, sweet, and absurd all at once, with a surprise ending! ReFoReMo: Backmatter to the Rescue! 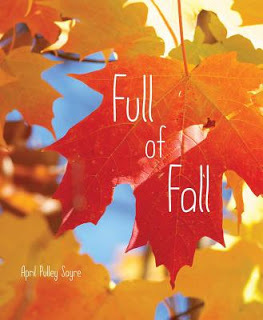 In search of ways to master word count in lyrical ways, I pulled out mentor texts from my “nonfiction idols.” Three from April Pulley Sayre gave me the inspiration I needed: Best in Snow, Raindrops Roll, and Full of Fall. 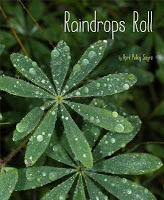 These succinct, sensory-rich, and delightfully poetic picture books capture each of her concepts with flow and flair (not to mention, wonderful photography by Sayre herself). And most importantly for my revision struggles, they were still able to provide detailed information with word counts more in line with the industry standard. How? BACKMATTER! Sayre uses the “story” part of the book to provide an overview and create a feeling about the subject matter, while offering additional scientific tidbits and facts to further learning and understanding in her backmatter (which is not included in word count for picture books). As you write and revise, consider: Could backmatter help support your nonfiction story’s weight? Would readers benefit from a more lyrical approach to your subject matter? How can you offer an educational book that appeals to the senses? Readers will find it impossible to NOT fall in love with Arfy, a clever letter-writing pooch searching for a forever home on Butternut Street. As his options dwindle (even his letter to the boarded up house at the end is “Returned to Sender”), an unexpected friend writes to Arfy with a wonderful proposal: “Can I be your person?”. Cummings’ sweet and often funny story blends seamlessly with his bold and colorful digital illustrations to create a fun read-aloud story with heart and hope. A short note from Arfy in the backmatter also offers simple ways to help homeless animals. Focusing on Near Threatened, Vulnerable, Endangered, and Critically Endangered animals, Wenzel uses mixed media to create eye-catchingly cute and clever renditions with a twist: as we meet them, we see what they have in common, be it “pattern, pose, shape, or show” (or numerous other categories such as sounds they make or size). Simple rhyming text pulls it all together, and abundant white space allows the fun, textured animal illustrations to pop. Backmatter offers a short message on how readers can help creatures in trouble, plus provides a “shadow-shape” index of animals Wenzel features in the book. What must it be like for a baby elephant, with so many things to learn in order to survive to adulthood in the African wild? Roy paints a thorough portrait of life in a herd on the savanna, offering expert insights into anatomy, herd dynamics, family relationships, and other aspects of the development and growth of these majestic animals through the story of an infant learning its way. Award-winning Roy’s stunning watercolor illustrations pair perfectly with the information to offer additional insights while tugging at heartstrings. In addition, backmatter discusses modern threats to elephants, plus suggests sources for learning more. As the mother of three daughters, I have always been on the lookout for strong female role models for them; role models who are smart, brave, kind, funny, talented, confident, strong and oh-so-amazing are the ones I hope to offer at each stage of their lives. When they were very young, for instance, I provided books featuring female protagonists and music by female artists, along with learning opportunities by female scientists and naturalists through my leadership with Girl Scouts for their various troops. As they entered middle school, I helped them find female coaches for sports and artistic endeavors. And now that my daughters are in their middle- to late-teens and early twenties, I still strive to help them find the female role models who can inspire them to be their best selves in learning and life. As a writer of picture books, I am also keeping an eye toward strong female role models for readers of both sexes, creating believable female protagonists who explore, imagine, learn, discover, and dream whenever possible. For young female readers, this allows them the opportunity to see themselves in the world and all its situations and possibilities. For young male readers, it shows them a new perspective which can counter the messages they face daily in other areas of their lives, including the media and society in general, that puts men and boys at the top of most lists. Yet, I sometimes feel I am struggling uphill with my efforts, and there’s good reason why. A 2011 study (by FSU’s Janice McCabe and four other university researchers) of almost 6,000 children’s books published in the U.S. during the 20th Century found that males were represented in 57% of the books while females were central characters in only 31%. This kind of disparity carried over into representation of: adult males or male animal characters (up to 100%) vs. adult women or female animal characters (33%) and males (36.5%) vs. females (17.5%) in children book titles. What kind of effect can this have on young readers? According to McCabe, “The widespread pattern of underrepresentation of females that we find supports the belief that female characters are less important and interesting than male characters. This may contribute to a sense of unimportance among girls and privilege among boys. The gender inequalities we found may be particularly powerful because they are reinforced by patterns of male-dominated characters in many other aspects of children’s media, including cartoons, G-rated films, video games and even coloring books.” McCabe also pointed out that even animal characters portrayed as gender neutral are usually perceived as male by both children and parent readers, contributing to furthering this pattern. Now, seven years on from this study and 17+ years into the new century, have we made any progress in the writing and publishing community to fix these inequities? Well, not much. While I do not have numbers for the breakdown of male-character vs. female-character books so far this century, I do have information showing which are getting the most attention, which often leads to publisher interest; success in the children’s book market; and availability in libraries, bookstores, and classrooms. From these lists, we can see the disparities remain today. 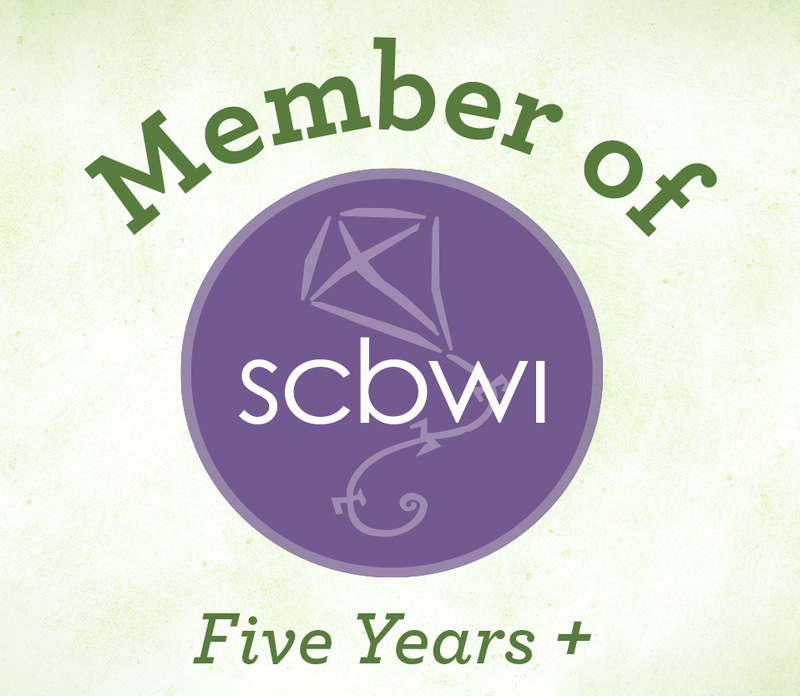 In a culture of greater female empowerment and a strong move toward gender equality in pay and other areas, it’s time for the children’s book industry — including writers, agents, editors, publishers, professional organizations, media outlets, sellers, and buyers — to catch up and step forward. It’s time for all young girls and boys to see in the books they read what I have wanted my daughters to see for nearly a quarter of a century: that girls can be — and are — smart, brave, kind, funny, talented, confident, strong, and oh-so-amazing. McCabe, J., Fairchild, E., Grauerholz, L., Pescosolido, B. A., & Tope, D. “Gender in Twentieth-Century Children’s Books: Patterns of Disparity in Titles and Central Characters.” Gender & Society, vol. 25(2), 2011, pp. 197-226.
https://www.amightygirl.com/books/fiction/picture-books (the website also showcases movies, toys, music, and clothing for girls along with other great resources for parents and teachers). Discovering a book on redwoods, a young boy is magically transported into the forest where he climbs and measures these magnificent historical giants while researching the life found high in their canopy. Chin’s lovely watercolors capture the joy and amazement of discovery while providing educational and environmental details as well. An inspiring biographical story showing how tree lover and scientist Kate Sessions turned the dry, empty city park in San Diego into a lush forest at the turn of the last century. 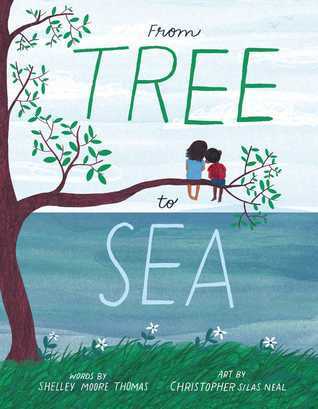 Upbeat and light, with beautiful (and educational) illustrations, Tree Lady captures the passion and spirit of a true pioneer. Thirty hands-on activities inspire children to observe, learn, and apply knowledge about trees and their roles in our world in this kid-friendly nonfiction book chock full of facts and ideas. Full color photos, plus numerous additional resources, help make this title a 2017 Outstanding Science Trade Book for Students K-12. Thirty short poems offer charming, fun insights into favorite (dragonfly, ladybug, firefly) and not-so-favorite (cockroach, mosquito, dung beetle) bugs, while additional text and back matter add educational heft. Even better: Caldecott-winner Melissa Sweet adds whimsy to the excitement with her delightful mixed-media, collage-style illustrations. Using lyrical storytelling, Bestor’s nonfiction book shows how this favorite insect survives and thrives throughout its life cycle. 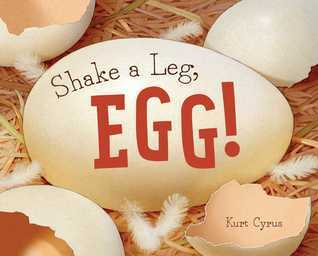 Readers learn the tricks it employs – blending in, changing color, losing and regrowing limbs, and more – to survive as an egg, grow and molt numerous times, and mate in its short but interesting life. A simple rhyming look at backyard bugs that will encourage even the most reluctant “bug lover” into outdoor exploration. 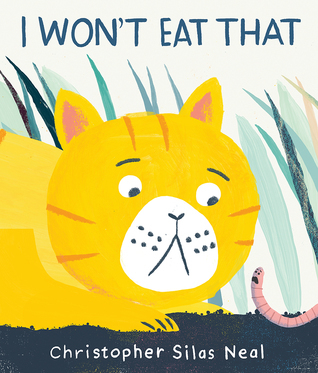 With adorable, colorful illustrations, children will enjoy this adventure featuring caterpillars, bees, moths and butterflies, ants, crickets, and many more bugs! Back matter provides bugs’ names in a What’s That Bug? chart. In this softly poetic tale, a mother coyote in a suburban setting hunts for food for her pups by the light of the moon. Powerful illustrations by Bagram Ibatoulline showcase the coyote’s efforts and use of all her senses to hunt at night, while sparse text sets the mood. Vivid watercolor illustrations accompany this story of a girl, new to her school, who leads her classmates’ efforts to save hatched loggerhead sea turtles. When the students learn the turtles are confused by nearby household lights, leaving them stranded on the beach, they rally the community to join in the cause. Lovely illustrations set the tone for this sweetly soft look at the full moon of each calendar month, with its related name and back story. Nature is the focus as readers learn about the Snow Moon, Strawberry Moon, Sap Moon, Harvest Moon, and others, while back matter offers additional information. Drawing on the amazing life of the woman most commonly known as Harriet Tubman, Cline-Ransome helps readers see this American hero as more than a conductor on the Underground Railroad. In free verse that takes us back, back, back to Tubman’s earliest days and introduces us in reverse chronology to Tubman in all of her roles and by all of her names, Before She Was Harriet allows us to see her lifetime of transformation while highlighting her spirit of bravery and endurance. Detailed watercolor illustrations by James E. Ransome add depth to Tubman’s story as readers journey back in time. An inspiring look at Wright’s creative design process for perhaps his most famous structure, Fallingwater, a home built in rural Pennsylvania in 1937 for an important client. While the text shows how the older Wright visited the site, pondered the client’s wants and needs, and ultimately designed this home to incorporate the lovely natural surroundings into its heart and essence, LeUyen Pham’s gentle illustrations flow from page to page to highlight the story as well as the beauty of the home’s backdrop. Notes from the authors and illustrator provide additional insights, making Fallingwater both enjoyable and educational for grades 2-6. A colorfully-illustrated story about Eugenie Clark and her dedication to “studying, protecting, and loving” sharks, as well as a look at her journey to becoming a scientist in the age of discrimination against females in the field. Shark Lady encompasses not only Clark’s lifelong fascination with sharks, plus her efforts to study sharks and show the world that sharks are neither dumb nor mean, but also paints her as a leader in the acceptance of women scientists. Back matter delves into further information on sharks, and offers a nice timeline of Clark’s life and achievements plus an author’s note. 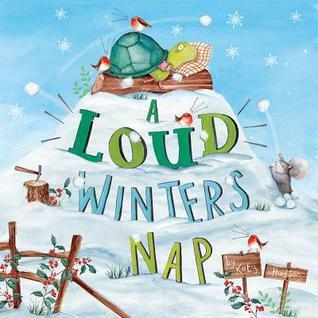 Charming and bright illustrations highlight this story of a turtle whose body is telling him to sleep in winter, but whose surroundings have other – loud – ideas of winter fun. After several misses, he discovers some of the joys of winter might just make it okay after all. A cute rhyming entreaty to an unhatched egg to come on out and experience all the joys of pond living as a Canadian Goose in the springtime. The illustrations are vivid and colorful, putting the reader up-close with the egg, its siblings, and other residents of the pond. A fun, cumulative story of a cat in search of something a bit more exciting to eat. Until, that is, he realizes some culinary choices of the animals he meets might be a bit TOO exciting. In the end, he finds the perfect possibility. Simple text and illustrations make this a great read-aloud.